Spring is slowly becoming a reality – very slowly. But slow or not, Spring means salads. All winter long we have made big batches of soup for lunch – each batch lasting maybe 4 days before we make the next one. Victor is in the kitchen making the last soup right now – Italian Wedding Soup. It’s one of our favorites. When it’s done, it will be luncheon salads. The thought is to have two or three different salads in the ‘fridge, along with different greens and a few different dressings. The salads will be things like bean salad, lentil salad, roasted vegetable salad, pasta salad… you get the idea. I’m working on small-batch salad dressings – enough for two or three days – and a nice variety. To kick-start our new regime, we’re going to d a few more salads for dinner – and that’s where today’s salad comes in. 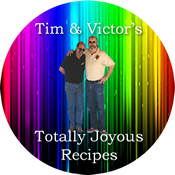 Victor saw a recipe for a celery and apple salad on the PBS website that looked interesting – but could definitely use some enhancement. In a large bowl, add the pistachios, raisins, celery, apple, lemon juice, red wine vinegar, oil and a few pinches of salt; toss until combined. Add the parmesan cheese, black pepper, and diced egg. Gently toss together until combined. Check for seasoning and add more S&P, as desired. Top with shavings of Parmesan. This is definitely one of those recipes where amounts are truly up to the maker. Double, triple, quintuple – add or subtract. Fresh herbs from the garden will work. Play with it and have fun!